Capitalist realism was a movement formed in Germany in 1963 by a group of young artists who focused on the objective depiction of Germany's growing consumer culture and media-saturated society. 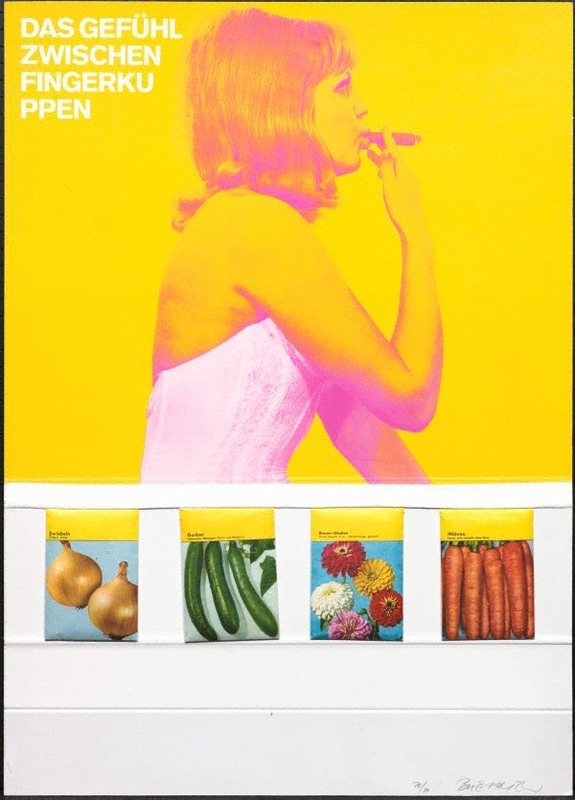 Artists worked with a diverse range of mediums - actions, installations, film, sound and graphics - using images, often collaged and appropriated from consumer goods, advertisements, newspapers and magazines. In 1967, Berlin gallerist and publisher René Block invited six artists associated with the movement to contribute a screenprint to the portfolio ‘Grafik des Kapitalistischen Realismus’ (‘graphics of capitalist realism’). Signed l.r. sheet, pencil "BREHMER". Not dated.